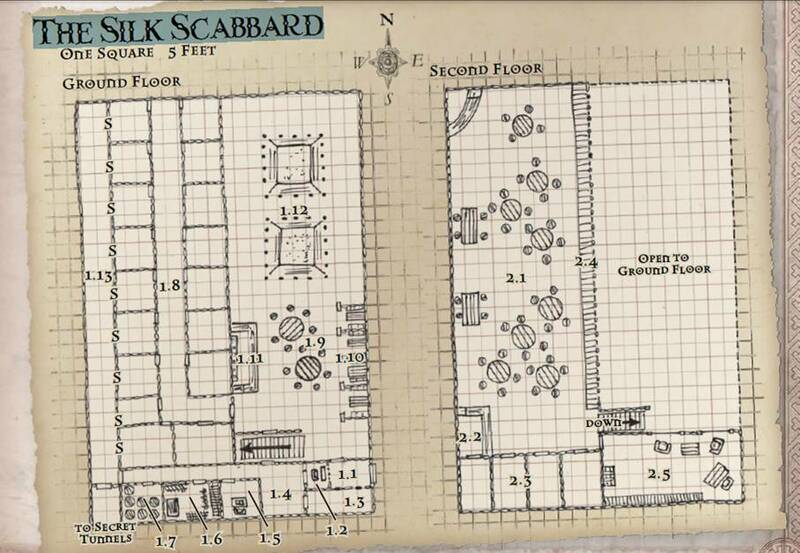 By no means a small operation, the Silk Scabbard occupies an otherwise nondescript two-storey brick structure near the junction of Upper and Lower Zobeck and the Kobold Ghetto. Tyron owns and runs the place presumably with the protection of the trade oligarch. In fact, it is whispered by some that he is Lord Greymark’s man. There is usually a bouncer at the door that knows his customers well, as does the barman, Drajan. There are two floors. The street level contains the brothel, main bar and pit fighting areas. The upper level hosts the gambling and auxiliary bar with a couple of overflow rooms for the brothel.